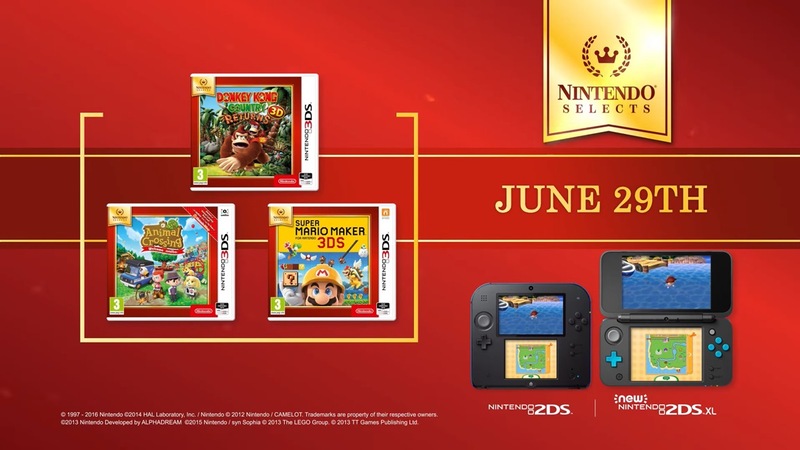 Earlier today, Nintendo announced that Donkey Kong Country Returns 3D, Animal Crossing: New Leaf – Welcome amiibo, and Super Mario Maker for 3DS are joining the Nintendo Selects line in Europe. We have a video promoting the news below. 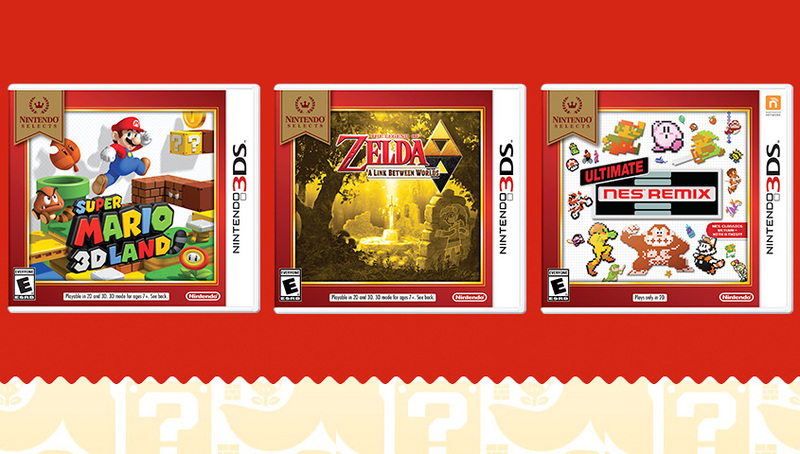 Nintendo announced this past week that Super Mario 3D Land, Zelda: A Link Between Worlds, and Ultimate NES Remix are joining the Nintendo Selects line in North America starting February 5. View a new promo for the news below. Update: Bumped to the top. Nintendo says that its previously-announced February 3 date is incorrect; the new Nintendo Selects prices go live on February 5. 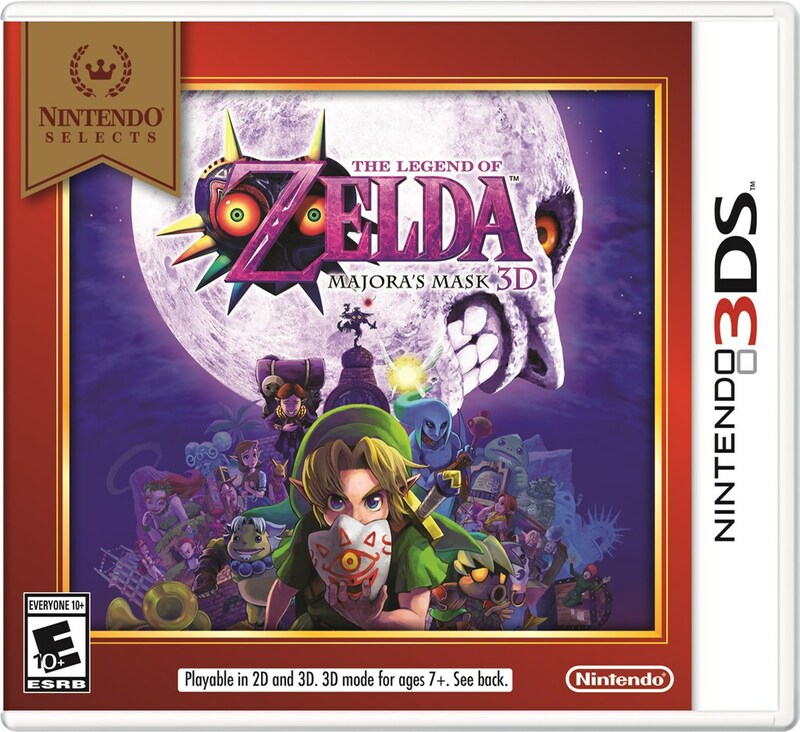 Original: Nintendo has announced that a trio of 3DS games will soon be joining the Nintendo Selects line. 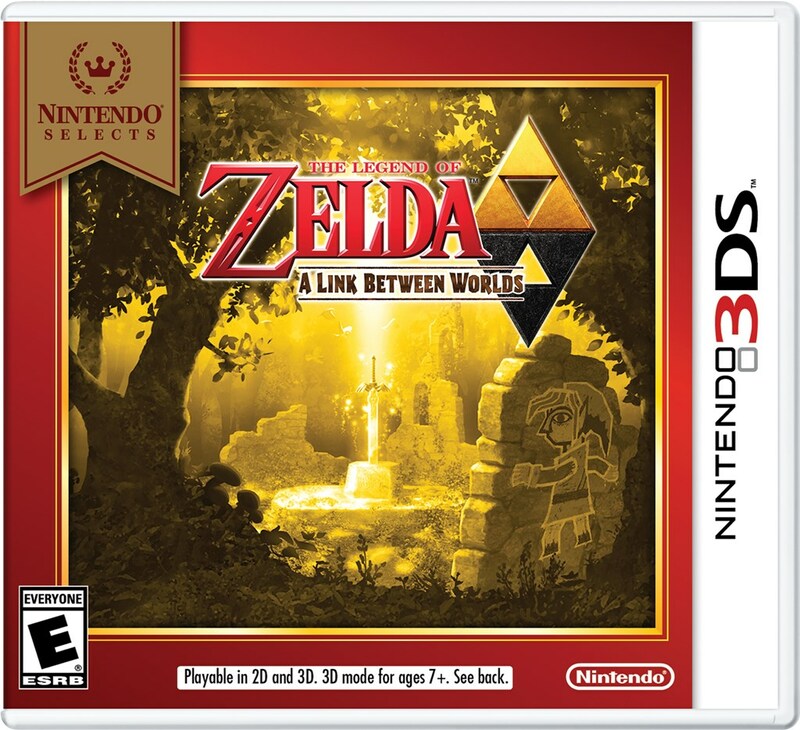 On February 3, Super Mario 3D Land and The Legend of Zelda: A Link Between Worlds, and Ultimate NES Remix will be sold for $19.99 each. Read today’s full announcement from Nintendo below. 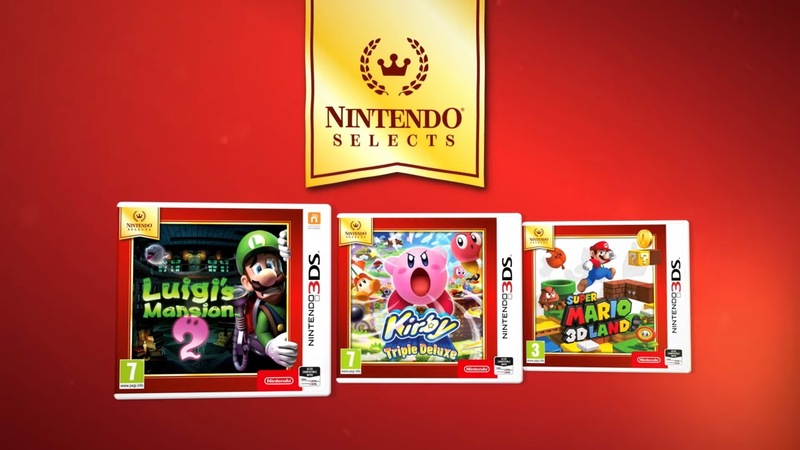 Three new games are joining the Nintendo Selects line in Europe this Friday. 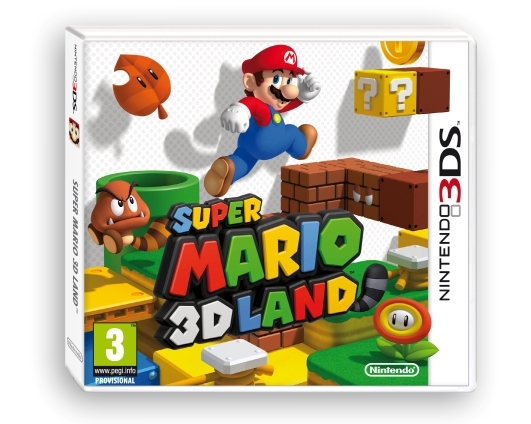 Super Mario 3D Land, Kirby Triple Deluxe, and Luigi’s Mansion: Dark Moon will be a part of the budget line. 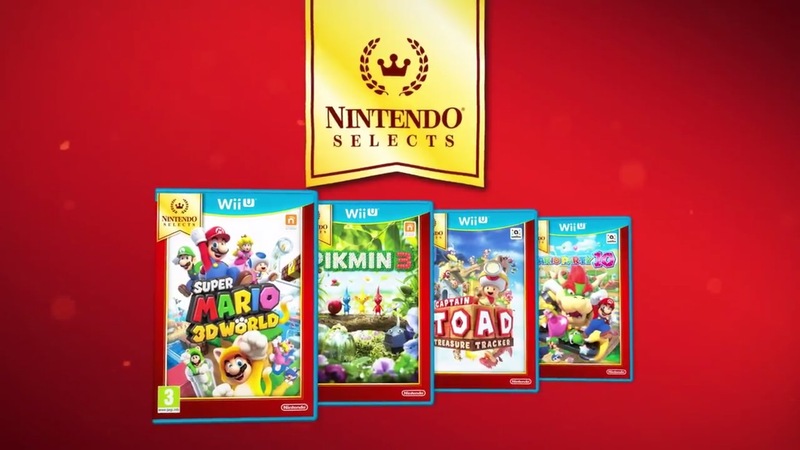 View a trailer for the latest Nintendo Selects below. To celebrate the release of the SNES-themed New Nintendo 3DS XL, three new games will join the Nintendo Selects lineup in Europe on October 13th. Super Mario 3D Land, Luigi’s Mansion 2 and Kirby: Triple Deluxe will be available at retailers and on the eShop for a permanently reduced price. A couple of weeks ago, Nintendo made a few announcements about 3DS. This included two additions to the Nintendo Selects line: Kirby Triple Deluxe and Mario & Luigi: Dream Team. Nintendo never actually gave a concrete date for the new Nintendo Selects, only opting for a vague “mid-February” timeframe. That being said, retailers are now selling both games. Best Buy and GameStop may have had them as early as last week, but we can confirm that Amazon only began selling them directly today. Two new games are joining the Nintendo Selects line in North America next month. Yesterday, Kirby Triple Deluxe and Mario & Luigi: Dream Team were announced as the latest additions. We’ve posted both boxarts above. 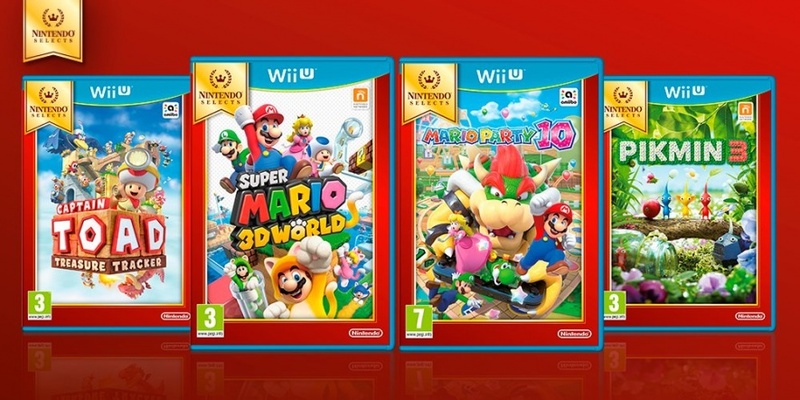 In just a few days, a new round of Nintendo Selects will be making their way to Europe. Nintendo has now shared a promo video for the newest titles joining the discounted line, which you can watch below.